Some people have said that they think the Crazier Eights card frames are from Magic: the Gathering. They aren’t. I made the card frames and there are significant differences between the card frames I use and those used by Magic: the Gathering. Note that one of my friends is a lawyer and I have talked to him about various legal issues. I will continue to look into any legal issues that are relevant to the game. Another concern some people have had is where the artwork came from. The illustrator of each card can be found on the bottom left-hand side of each card. The artwork used for the game was in the public domain. You can probably find all of it on Wikimedia Commons. Some people claim to own faithful reproductions of artwork that would otherwise be in the public domain. In the USA, that is considered to be copyfraud. More information can be found here. Note that some of the artwork used for the game has been altered in significant ways. When that happens, I own the copyright of the artwork. 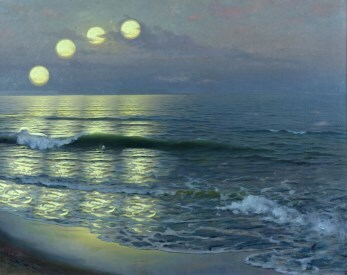 The main example of that is the art used for Timeshift, which is made from the painting “Salida de la luna” by Guillermo Gómez Gil (found here). This entry was posted in Uncategorized and tagged artists, artwork. Bookmark the permalink.